None of the tracks surpass the original (except probably Coldplay), but it doesn’t feel like the intention to ‘one-up’ other bands here. It’s an intimate, nostalgic affair for a small minority. For others, it’ll be less vital. Fellow Travelers is not really a measure of Shearwater’s writing so much as its orchestration skills. Thankfully, their approach goes further than “take a loud song and make it acoustic” and its vice versa equivalent. 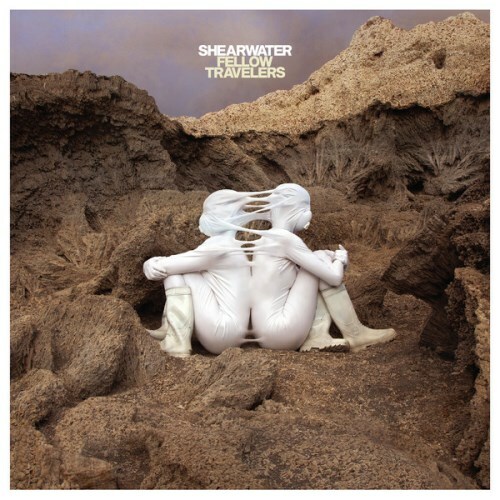 Fellow Travellers is a missed opportunity for a great covers album, but as a shout-out to friends, it epitomises everything that’s endearing and admirable about Shearwater. One hopes that the Austin band takes lessons from both the successes and failures of Fellow Travelers: taking risks here and there often pays off, but don’t mess with a vocal formula that works. Although this album is unlikely to change any existing opinion about a band whose left of centre sensibilities have always meant successfully evading wider acceptance, there is enough richness in the material here to merit far more than classing Fellow Travelers as a mere novelty. Purchasing Fellow Travelers from Amazon helps support Album of the Year. Or consider a donation?